The best ingredients for organic fertilizer can be found right in your own kitchen and backyard! 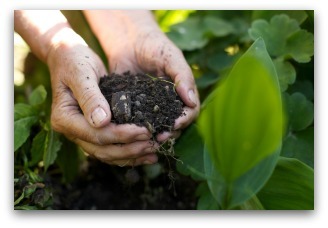 Learn how to turn some of your kitchen and yard waste into rich organic fertilizer. Creating a compost pile is an easy way to make your own organic fertilizer. While you may think that making your own compost is difficult, it is in fact an easy way to get the most value from things you would otherwise throw away. If you are concerned that a compost pile would be unsightly, you'll be surprised to learn you have a lot of options. 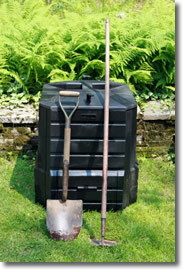 Many commercially available compost bins are attractive and actually help speed up the composting process. Once you've decided where to put your compost pile, it will be time to begin gathering together the ingredients. 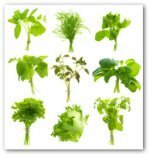 You'll be rewarded in several months by rich, dark organic fertilizer for your garden. 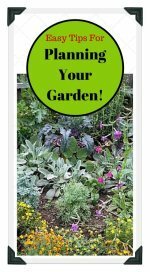 You may be surprised to learn that many of the components for organic fertilizer can be found in your own home and garden. Table scraps, peelings and scraps from fruit and vegetables, coffee grounds, tea leaves, and crushed eggshells can be added to your compost instead of to the garbage. Lawn clippings, leaves, weeds, prunings and other yard waste can also make vital contributions of nitrogen and carbon to your organic fertilizer. Adding chicken or rabbit manure can help activate your compost. Other ingredients you may have handy that can be added to your compost include cardboard, newspaper, sawdust, pine needles, corn cobs and dryer lint. Be sure to layer ingredients in even layers instead of mounds. Clear the ground where your pile will go. This is where you will be adding your ingredients for organic fertilizer. Lay down some straw or pile some sticks first… this will help add air to the compost. Begin adding your ingredients in layers. Add a dry layer, then a moist layer and keep repeating this. Dry materials include leaves, straw, sawdust and wood ashes. Moist materials include food scraps, coffee grounds, weeds and lawn cuttings. Green manures such as clover or wheatgrass add nitrogen. If you can add rabbit or chicken manure, this works as well. Well-aged cow, pig, or horse manure will also be helpful. 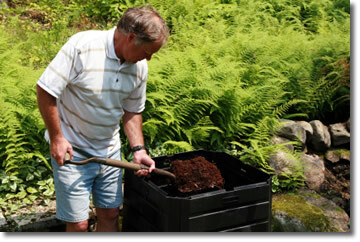 Moisten your compost occasionally, and keep it covered to make the most of moisture and heat. Turn the pile every few weeks. There are certain things you want to avoid when making compost. Do not include meat, fish or other similar scraps in your ingredients for organic fertilizer. These items will attract animals and flies. Do not add pet (dog or cat) manure to your compost if it will be used to grow food. Don't let your organic fertilizer get out of balance. 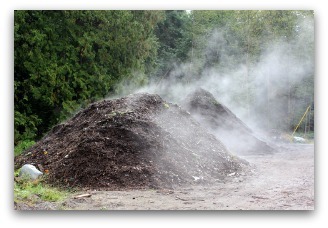 A healthy working compost pile should contain more carbon than nitrogen. 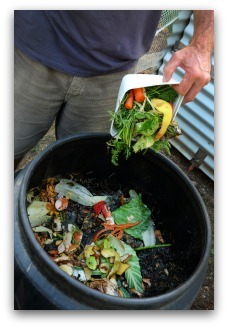 Try to follow the advice to add two parts brown materials for every one part of green material added to the compost. Air will be able to get through the pile and provide nourishment for the little organisms that work their magic turning waste to fertilizer. If you have too much nitrogen, your compost will smell rotten. Add more carbon to eliminate this problem.